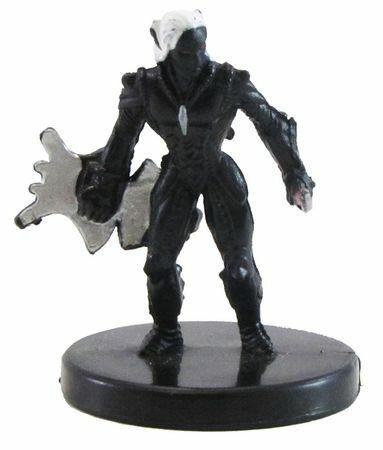 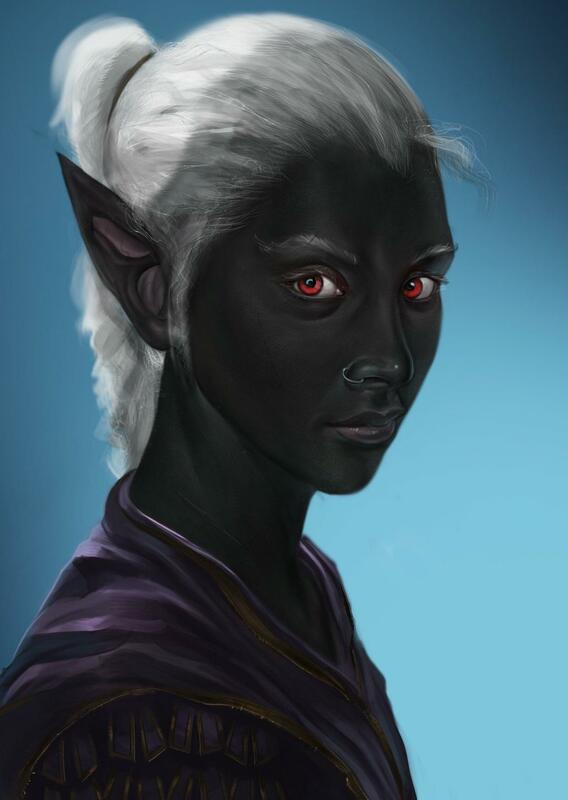 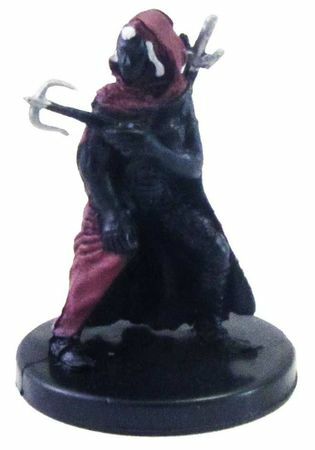 Kicking off 2013 with a half spider, half drow elf. 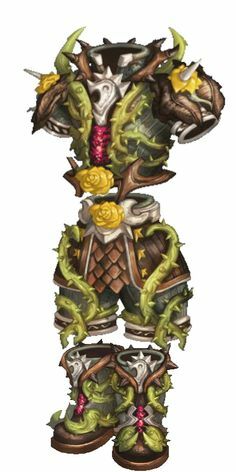 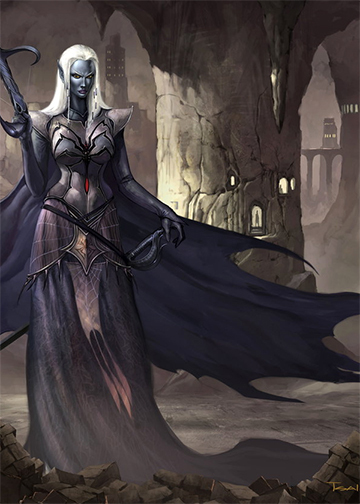 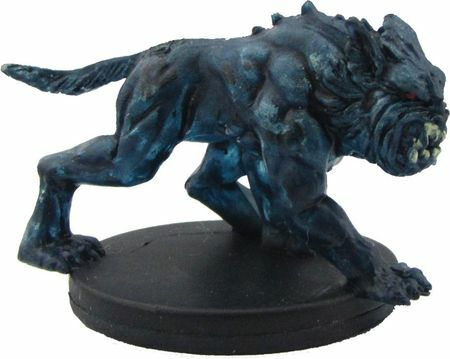 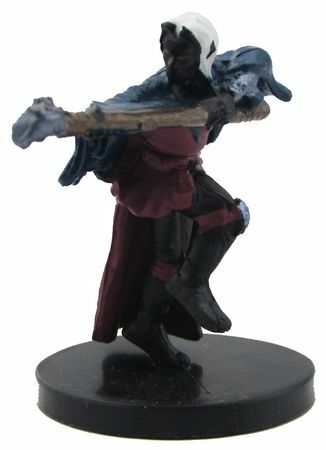 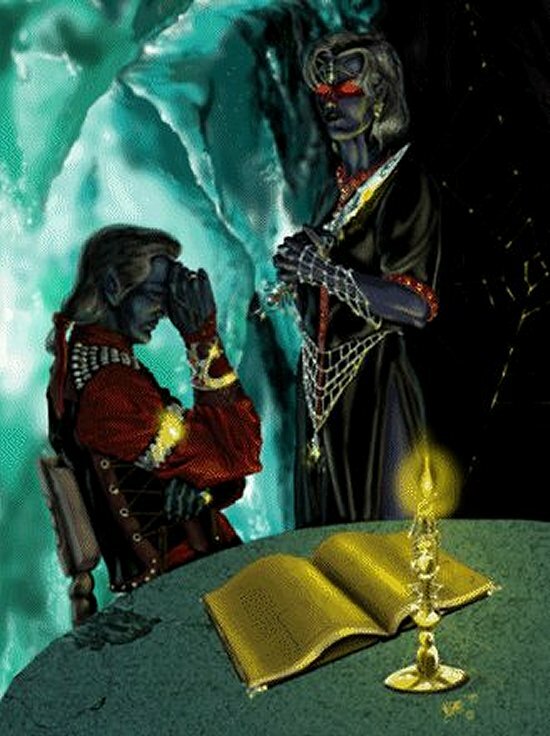 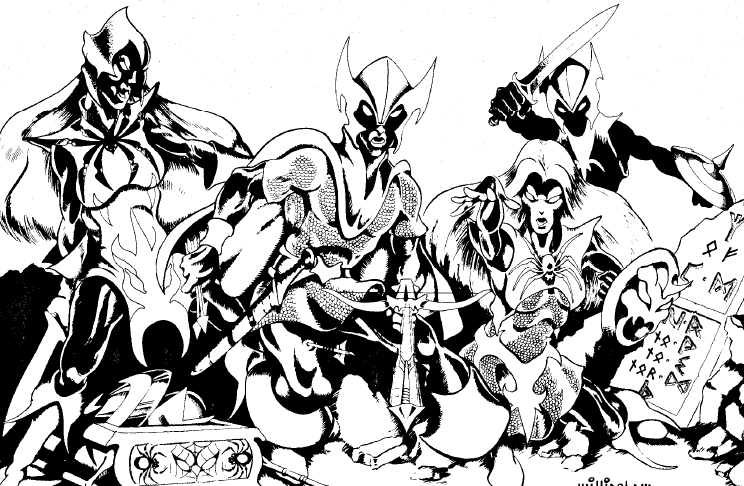 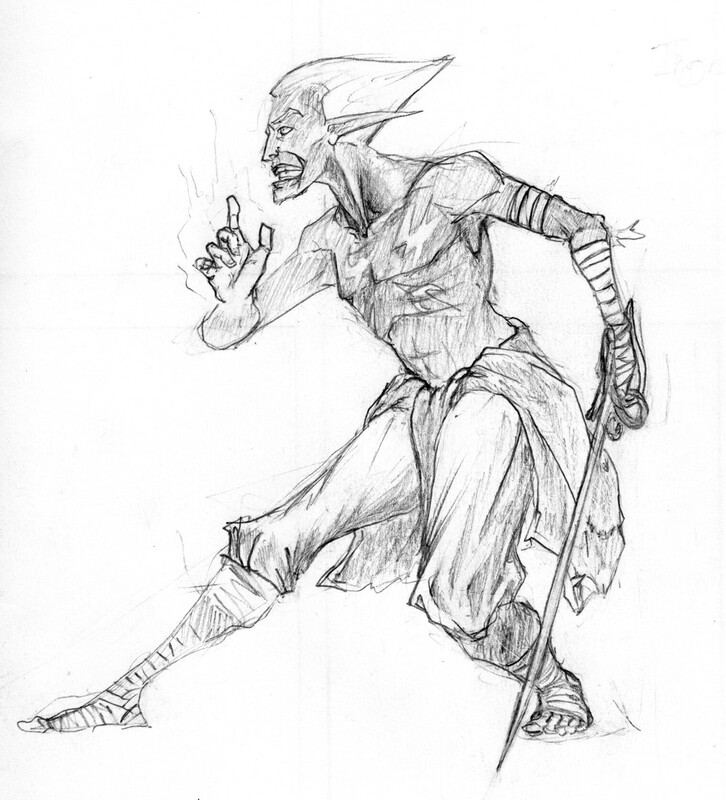 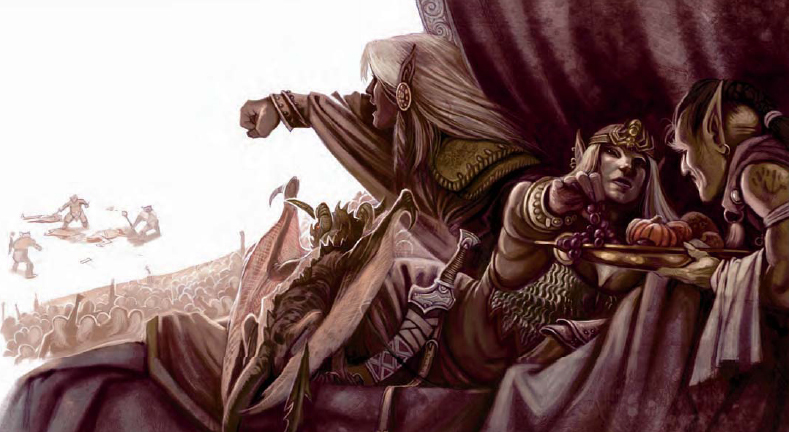 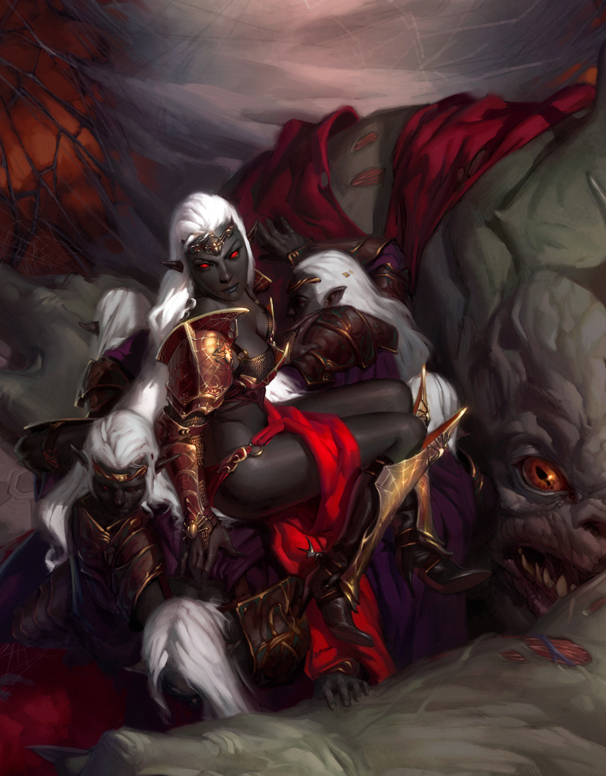 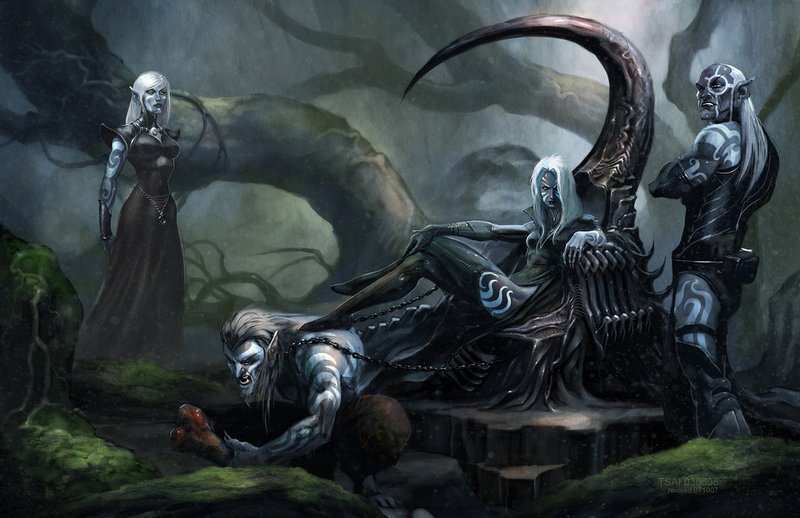 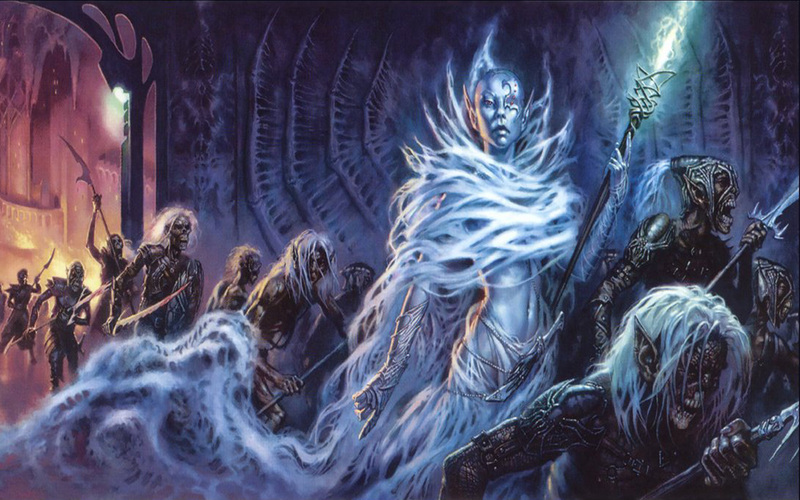 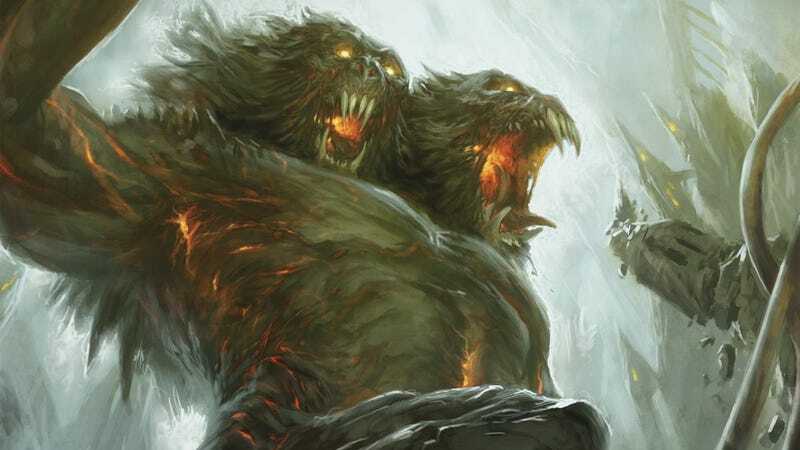 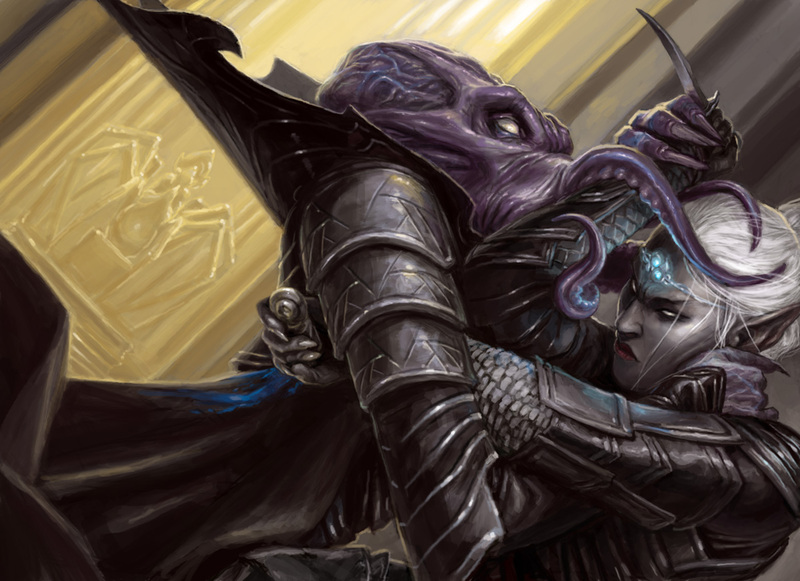 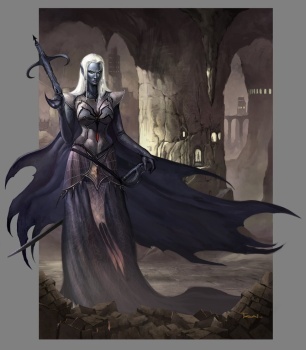 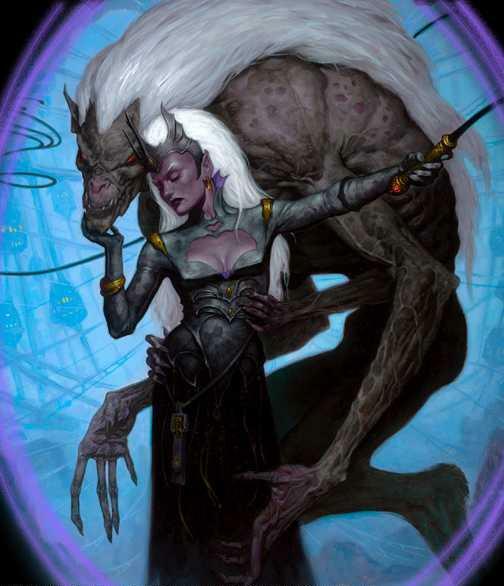 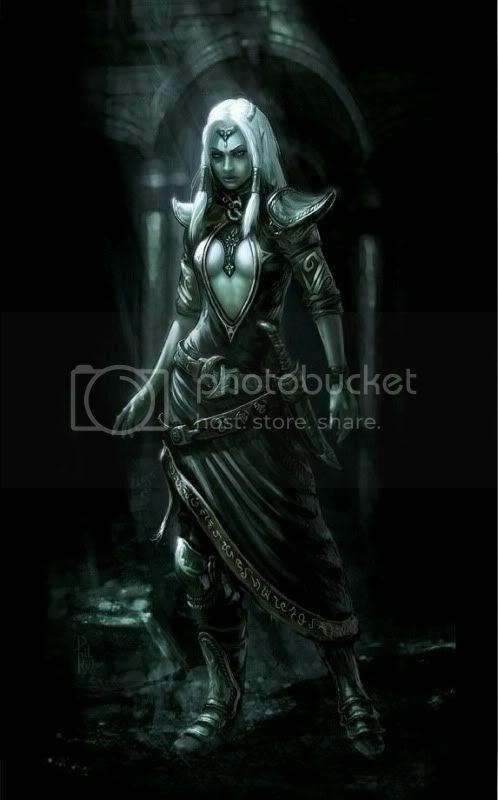 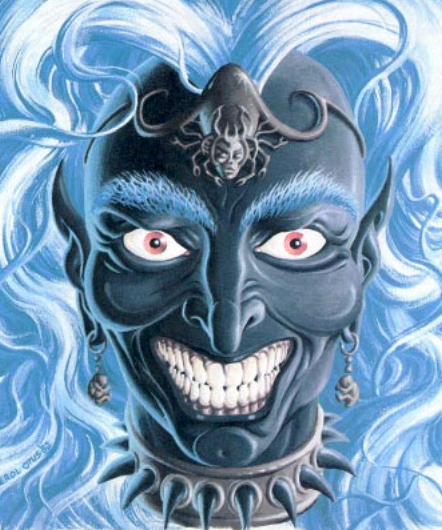 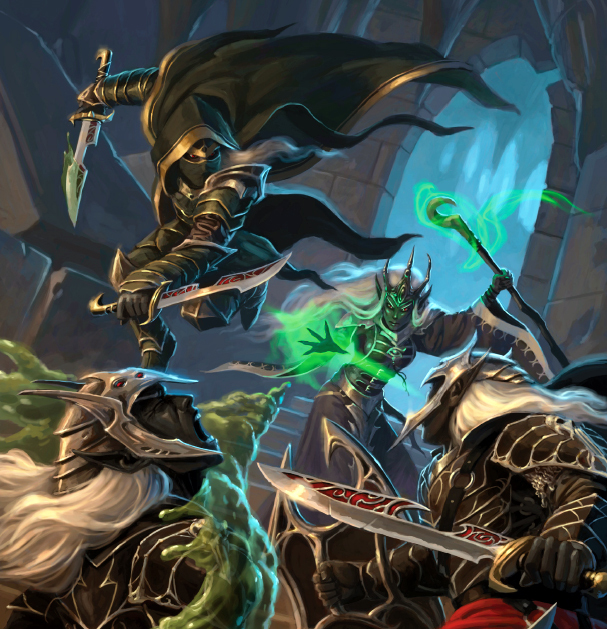 I really dislike the art of the drow in the monster manual. 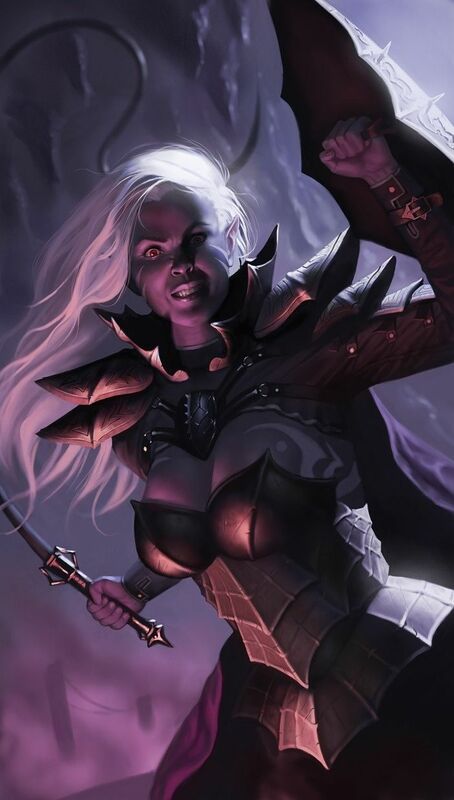 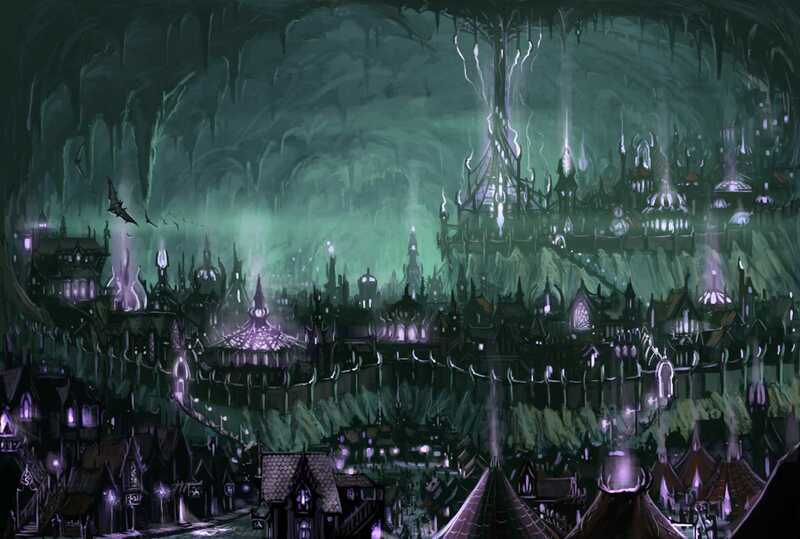 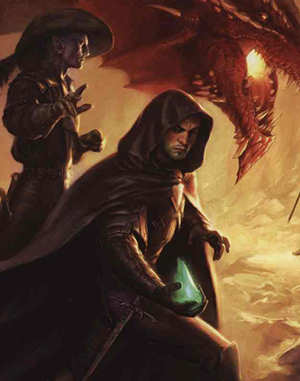 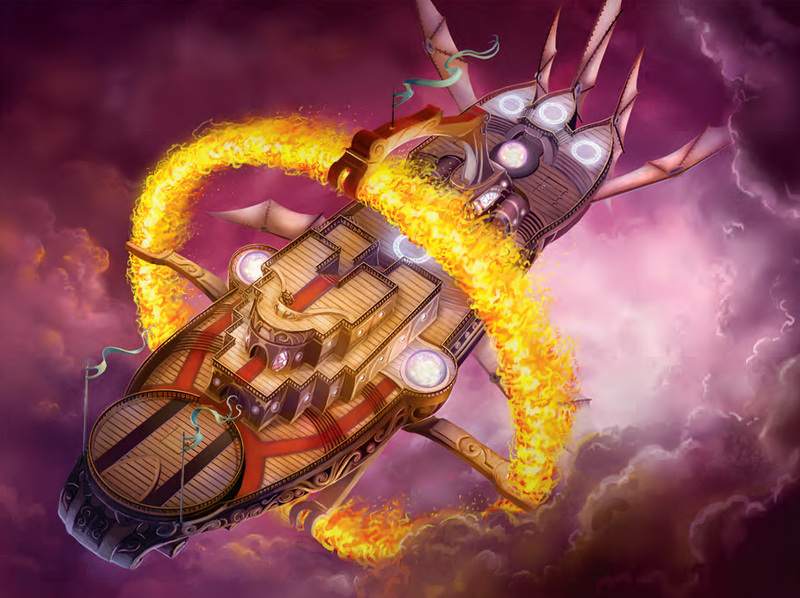 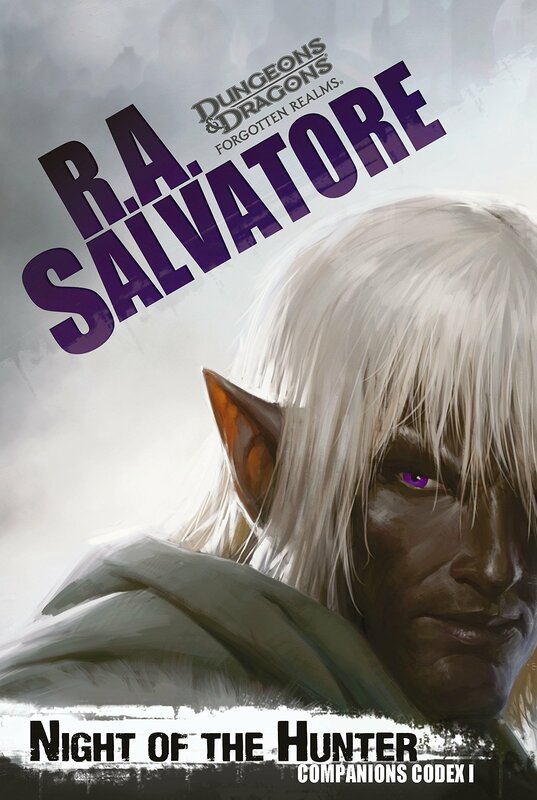 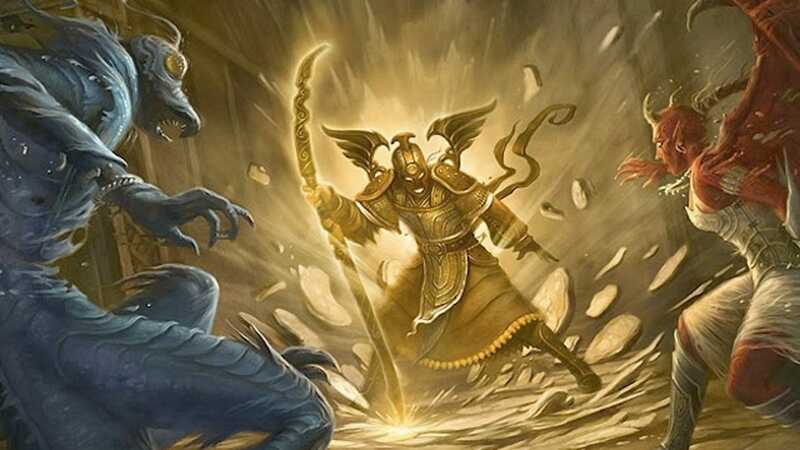 I decided to use this Rise of the Underdark cover instead. 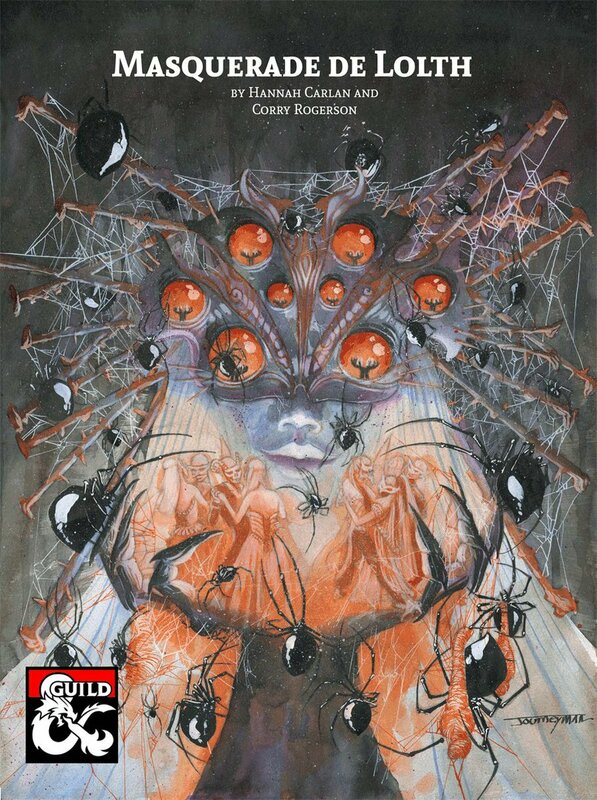 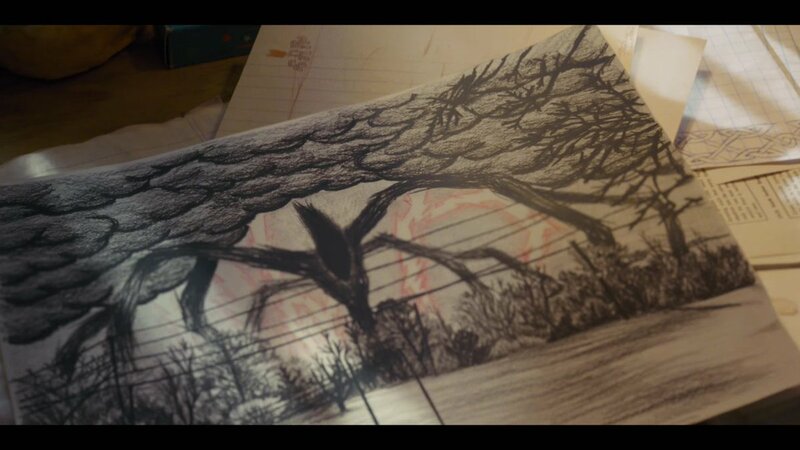 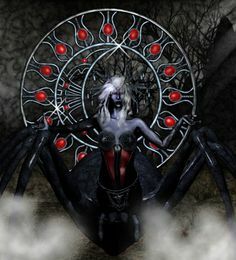 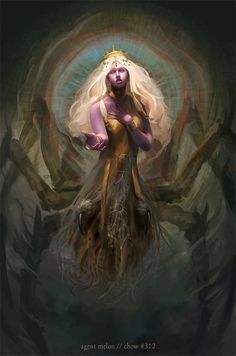 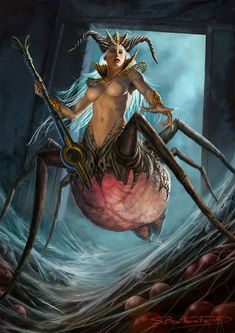 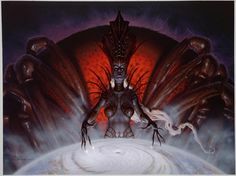 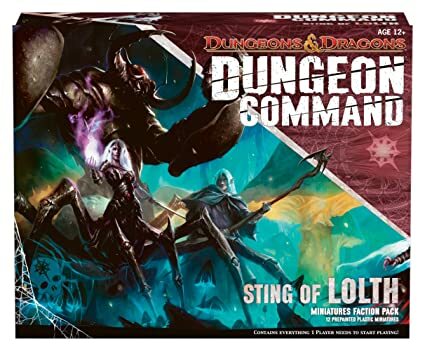 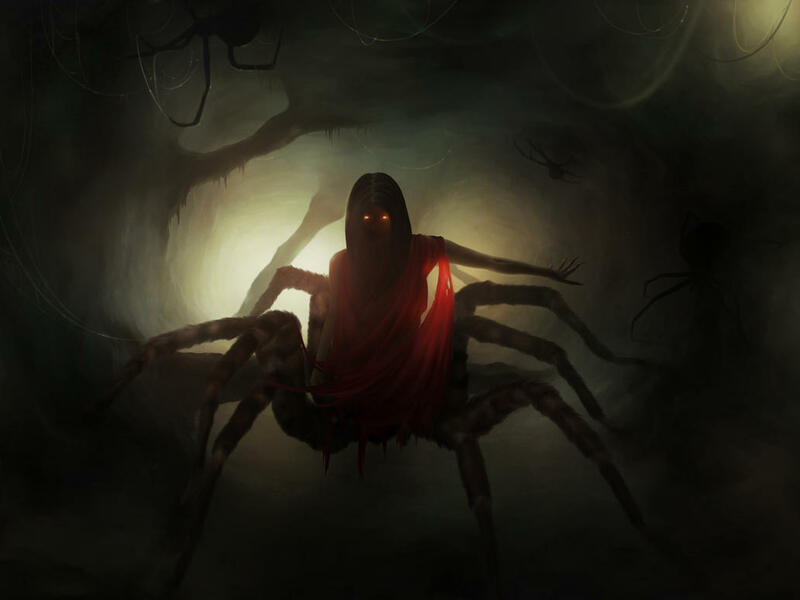 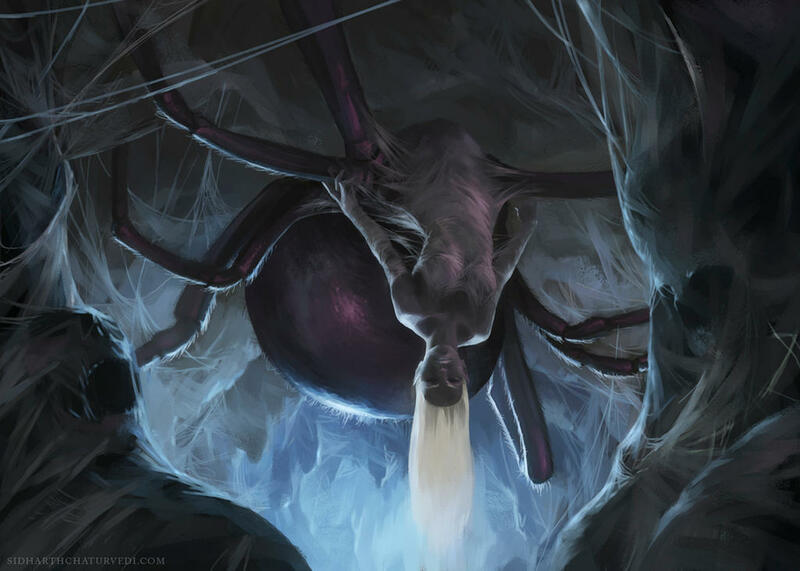 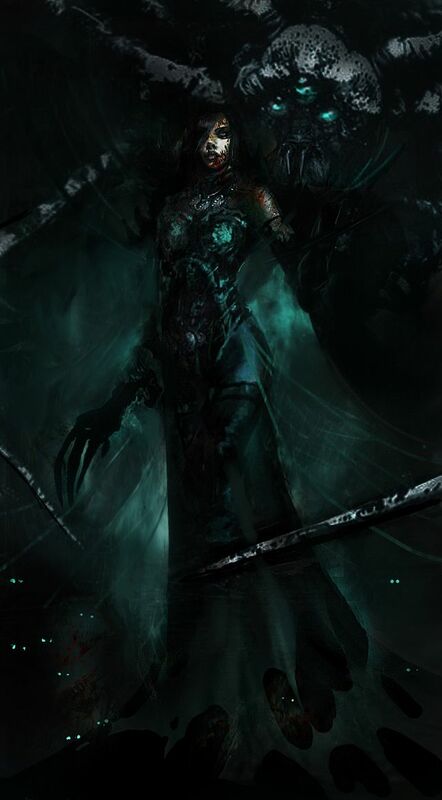 If the Duffer Brothers wanted to use a Lolth like entity for the D&D games played by the kids, Arachne certainly does that nicely. 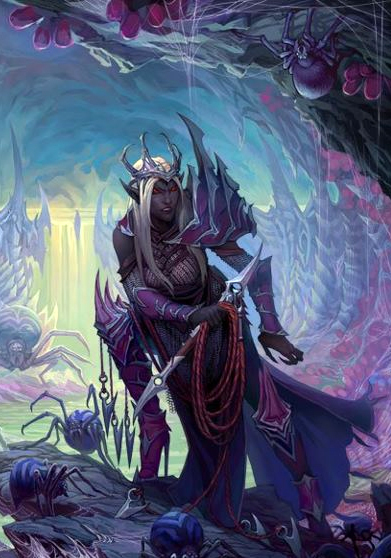 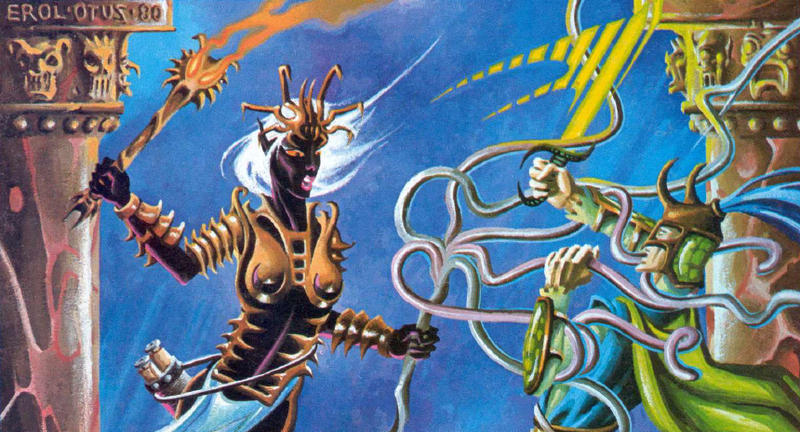 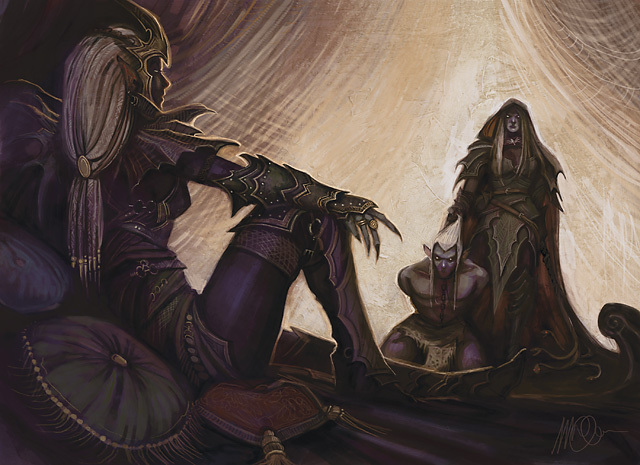 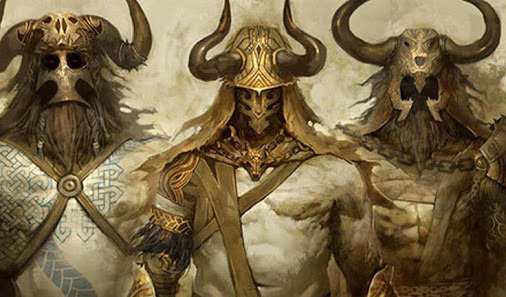 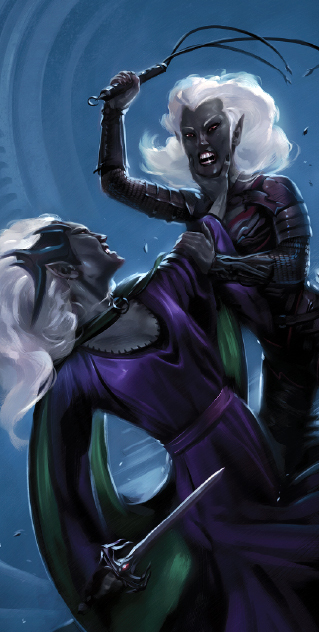 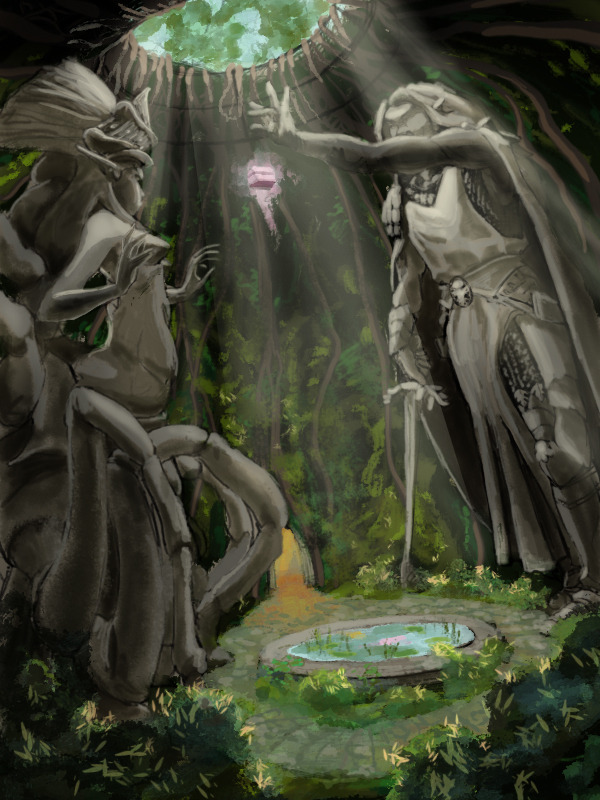 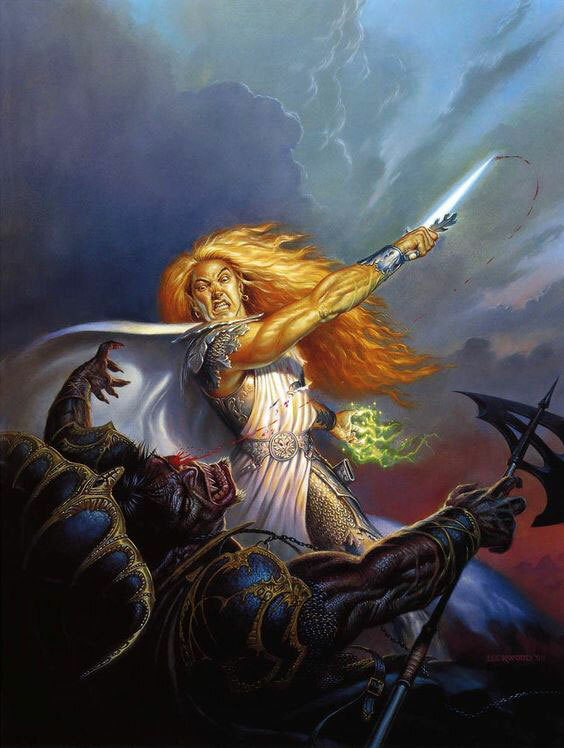 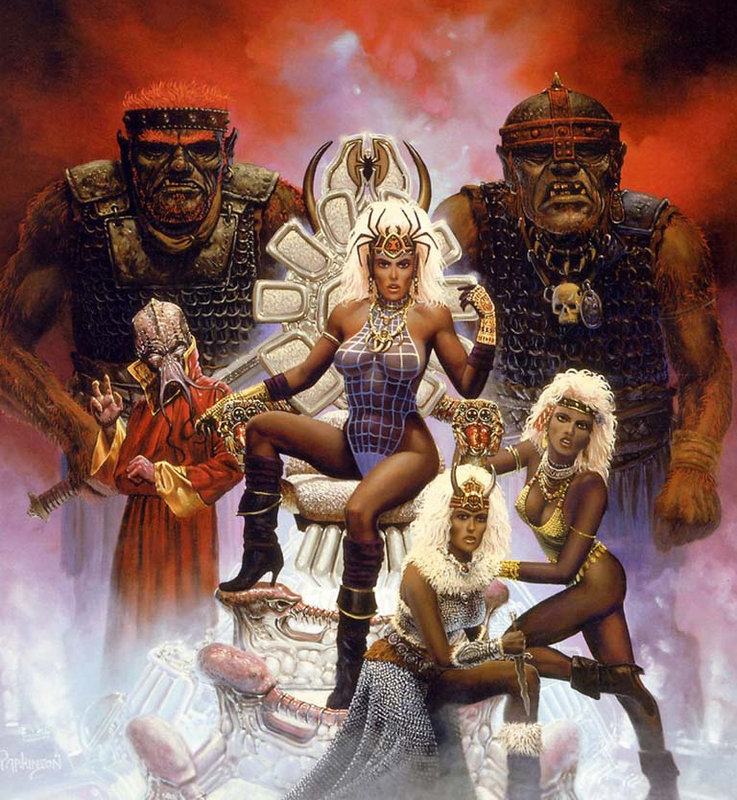 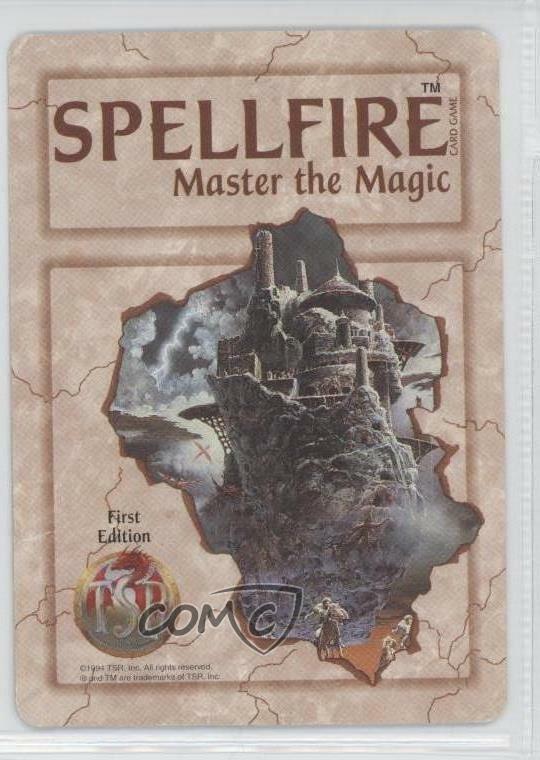 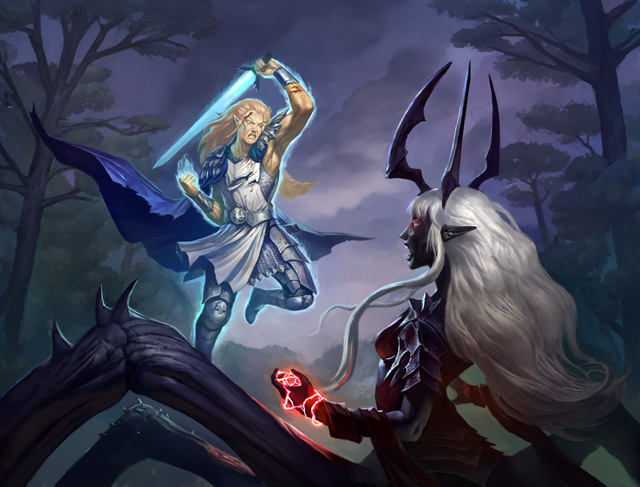 This issue has an article about elves, which is punctuated by a very in-your-face piece of Erol Otus art of what I presume is a drow priestess of Lolth. 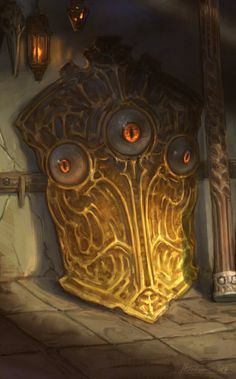 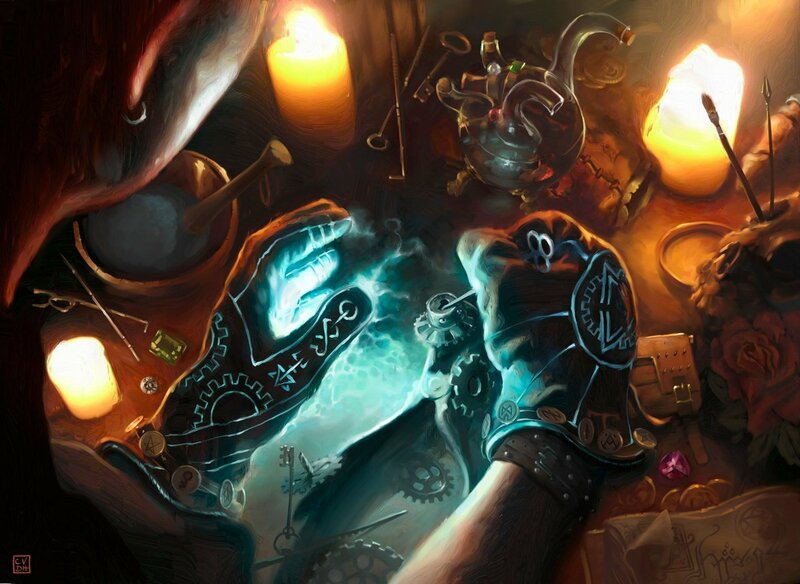 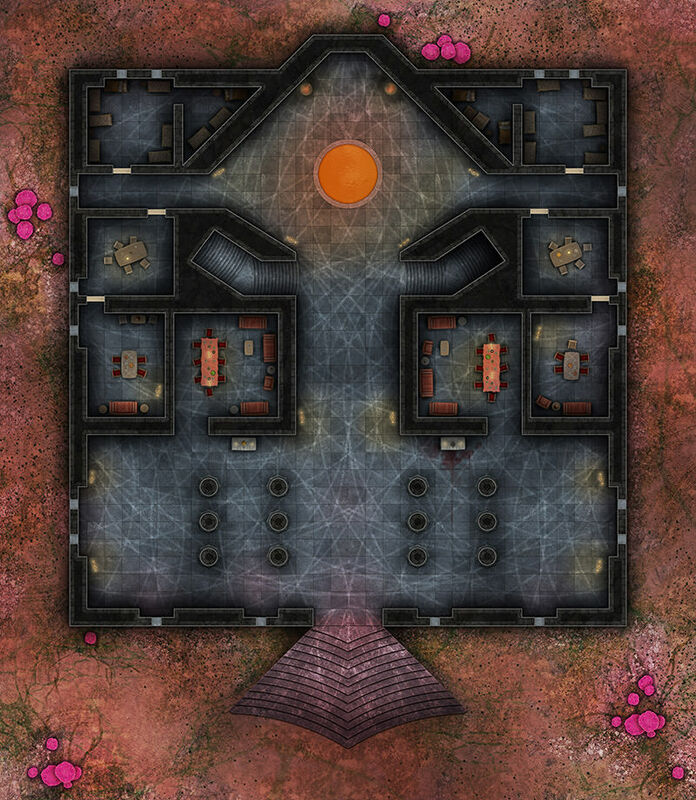 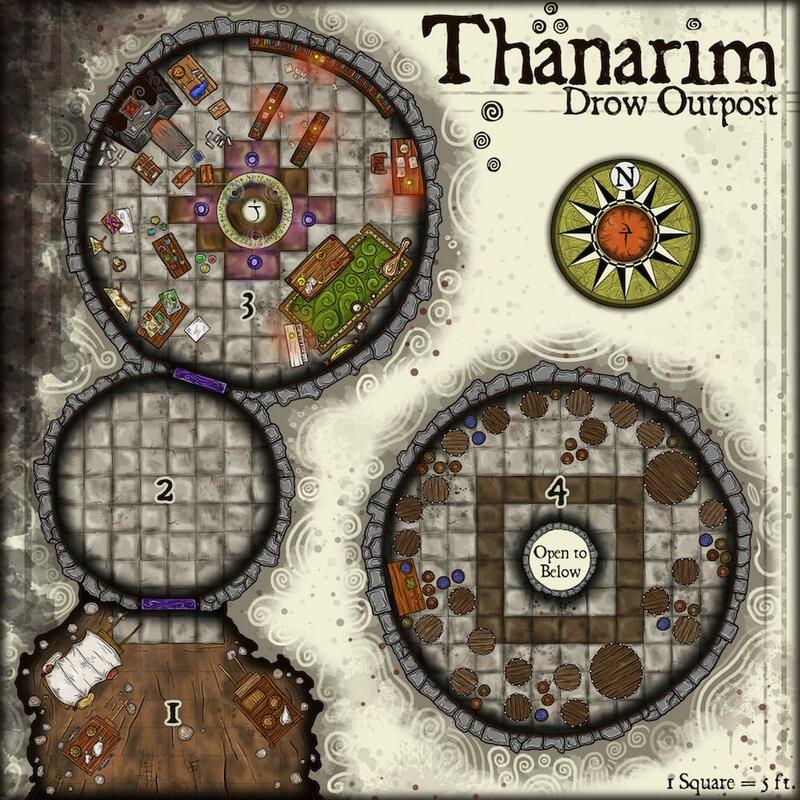 Item[OC] Drow prison outpost where the priestess steals people's memories with an illithid artifact. 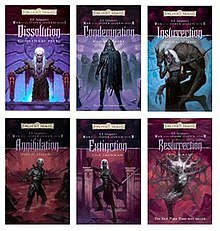 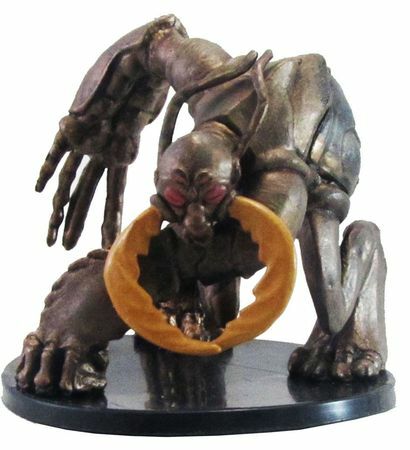 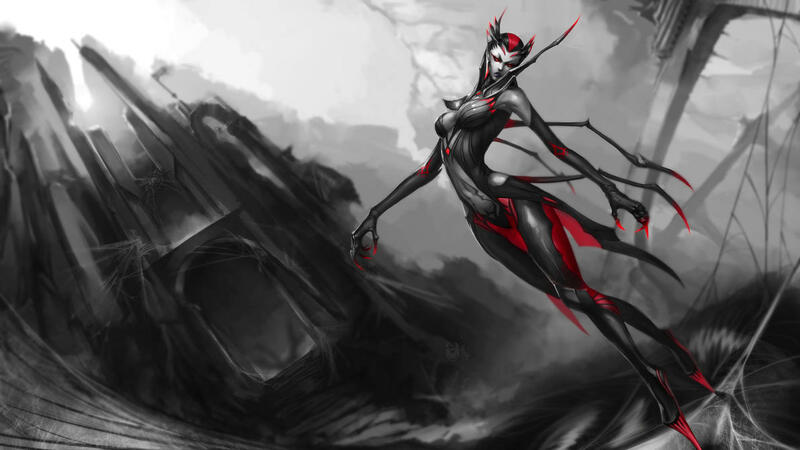 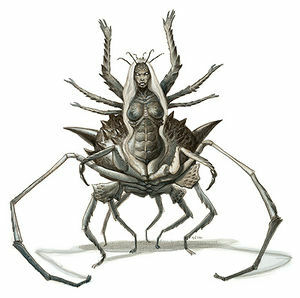 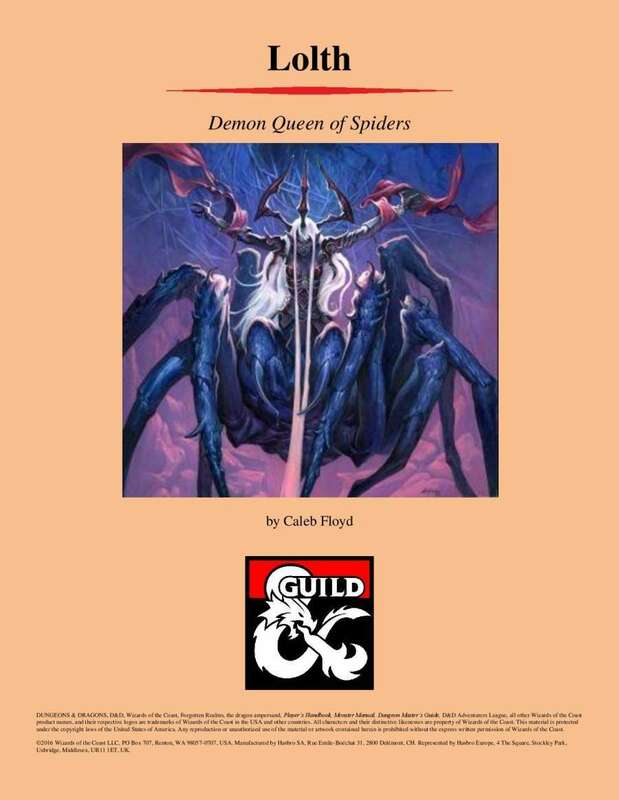 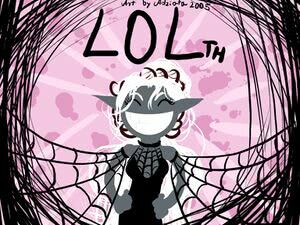 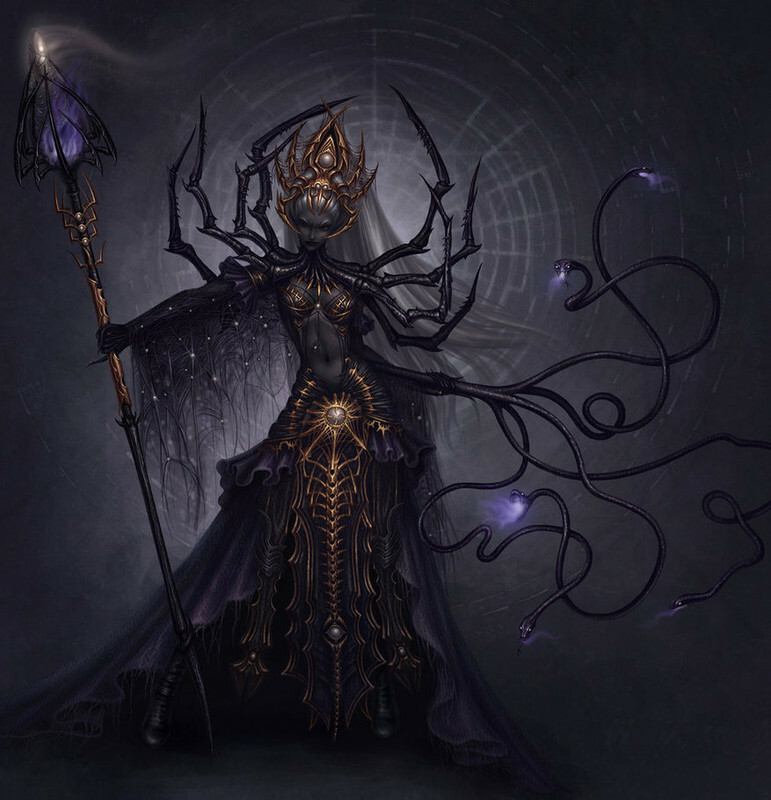 EDIT: Just did some googling for spider-lady artwork, here's what I found for a quick search of 'Lolth'. 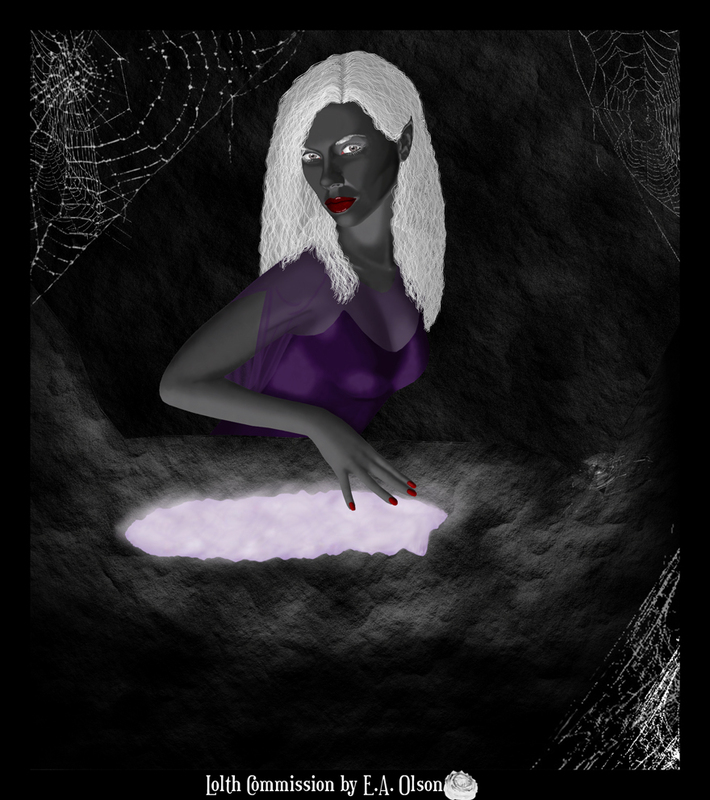 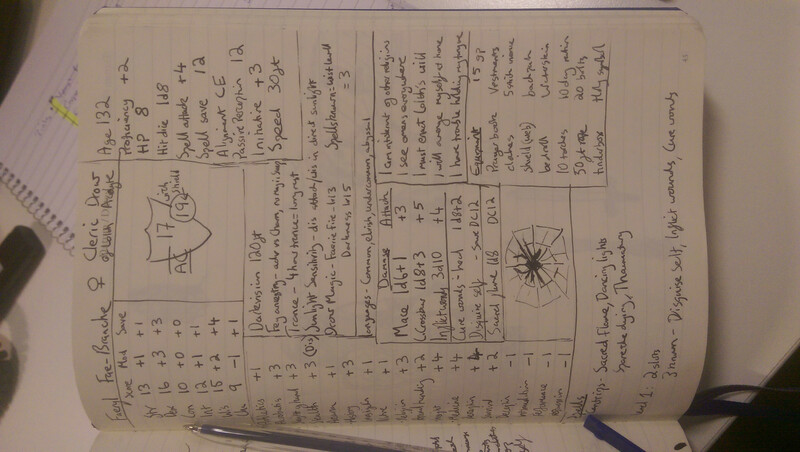 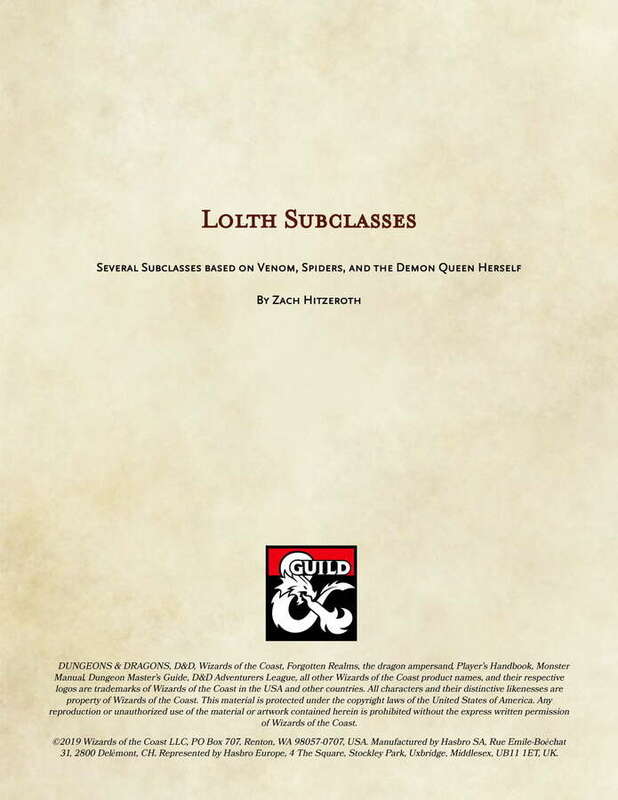 [OC] A5 micro character sheet for my drow priestess of lolth! 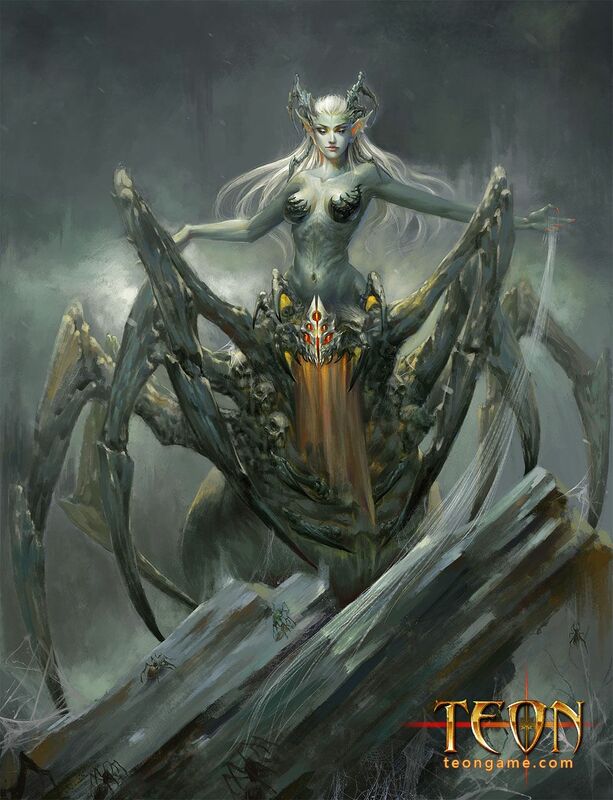 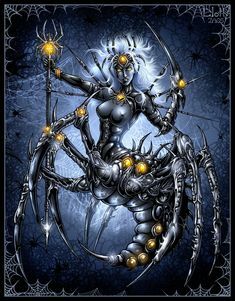 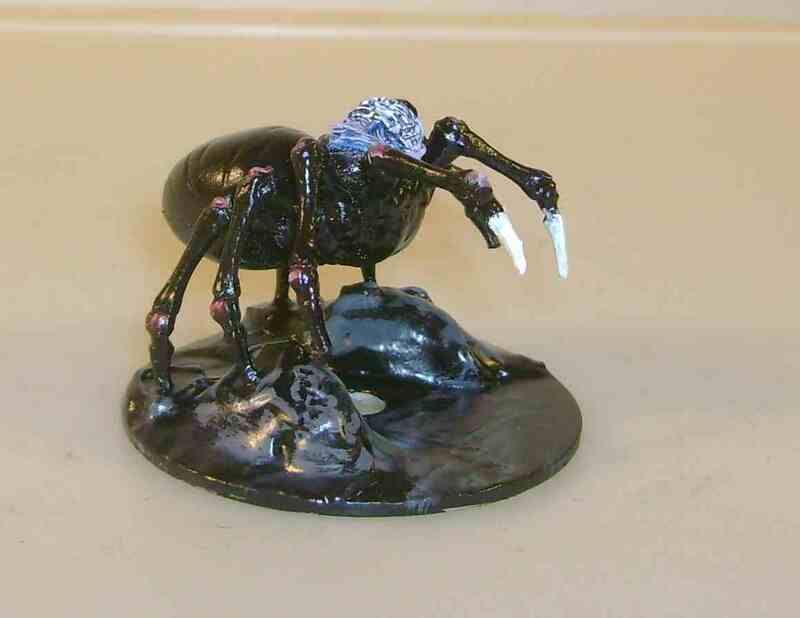 A common form of Lolth.